This might come as a shock to you, so take a deep breath; your website visitors can easily visit billions of other web pages – they don’t have to stick with your site. Gosh. The fact is there are so many distractions and alternatives to your web pages that your visitors do not have to stay with your site for a moment longer than they want; they can go almost anywhere else to get similar information. 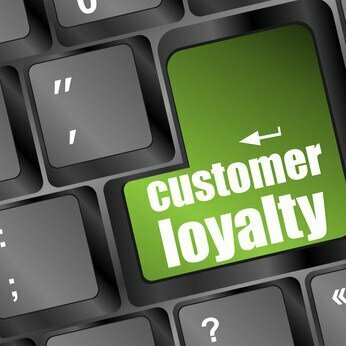 One important way to make sure that your online business succeeds is to generate loyalty. You want people thinking only of your website for your particular topic; you do not want them even considering any alternatives. But just how do you create and maintain such high levels of loyalty? The clue comes in research conducted in banks over a decade ago. That study found that “affective commitment” was an essential component in making people want to stay loyal. In psychology the word “affect” means mood; it is about your overall emotional state – are you generally happy or sad, at any particular moment for instance. What the banking study points to is the fact that people are likely to stick to your business if your business makes them feel good about themselves. If you generate good “affect”, people like your business and are likely to stick with you. What this really means, for instance, is that Facebook has got “Liking” completely base over apex. Rather than customers pressing a “Like” button to show they are fond of the brand, the business should actually be “Liking” its customers. This demonstrates to the customer that the business likes them and in turn it generates “positive affect”. The result of this good mood associated with the brand is that it helps increase loyalty. In the real world, brands show they like their customers all the time. Indeed, that’s precisely what loyalty cards generate – a sense of goodwill because the company is seen to be giving something back to customers. And the more points you get, the more you feel good about the brand because with more points you get bigger treats. Online, however, the whole notion of loyalty and sticking to a website is rather under-played. Indeed, some of the big brands do not even let you collect points on your loyalty card when you shop online. That means they are effectively saying “we don’t like you when you shop online”. It is generating negative affect. So, how can you generate loyalty to your website? You need to engender a positive mood in your visitors; make sure the website functions well and it is quick and easy to navigate. Also, tap into the origins of loyalty where our early ancestors generated group loyalty as a means of ensuring survival. They did this by sharing and supporting one another. Online that can be translated into providing lots of free information and handing out material to people with nothing expected in return. So, here you are – download my booklet on How To Keep Your Website Current. It’s all yours, no strings. Loyalty comes when you show how much you care for your clients and customers. Demonstrate that you go out of your way to look after your website visitors and they will return, time and time again. Who will help your website the most?